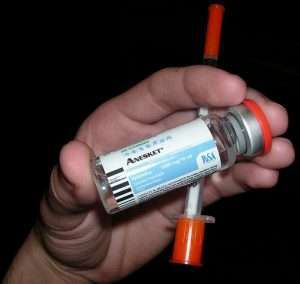 Ketamine or “K” is a dissociative anaesthetic drug used in a variety of clinical settings, from veterinary clinics to the battlefield and hospital emergency rooms. It is on the World Health Organization’s Essential drug list and highly safe for clinical use because it anaesthetizes patients without threatening their airways and other vital nervous system functions, and it is even used regularly on children2. K is also widely used recreationally for its psychedelic effects at sub-anaesthetic or even fully anaesthetic doses. The latter is often called a “K-hole”, the peak psychedelic experience of a ketamine trip. There are many interesting concepts surrounding the experiential topography of K, which I will not be discussing here. There is also an addictive potential for ketamine in its recreational use, but less than other substances such as nicotine, cocaine, opiates, and alcohol. K has found other uses over the last fifty years, such as a potential treatment of chronic pain disorders5 and what this article intends to demystify, is its use as a fast acting anti-depressant. The potential of these anti-depressant effects are remarkable; a single session with K can help reduce symptoms in treatment-resistant depression, bipolar disorder, and acute suicidality for up to a week1,4. It has also been shown to offer noticeable reduction in symptoms of both obsessive-compulsive disorder and post-traumatic stress disorder4. What is most interesting is that these effects come on within about two hours of onset and depending on dose and duration of administration, can last for up to a week, long after the drug has be metabolized and removed from the system3. Whereas our other medications for treating depression—assuming it can be chemically treated at all—take several weeks of regular use to take effect, such is the case with Selective Serotonin Reuptake Inhibitors or SSRIs1. The basic action of ketamine’s immediate effect is on the glutamate neurotransmitter system, wherein it binds to a very specific dock on the NMDA receptors (this dock also binds PCP), blocking the uptake of glutamate3. In that way, its actions are similar to Magnesium, leading to insight about magnesium deficiency and supplementation in the management of depression10. Glutamate is the major excitatory transmitter in the brain and thus effectively cuts off “go” signals between the brain and the body (anaesthetic). Yet it also has both positive and negative effects on other neurotransmitter systems such as dopamine, acetylcholine, and the opioid system, contributing to its psychoactive effect beyond sedation3. K’s delayed effects are what seem to be playing a role in its anti-depressive actions. Ketamine seems to increase production of Brain Derived Neurotropic Factor (BDNF)1,2,3,4, and the mammalian target of rapamycin (mTOR) in the hippocampus and the medial prefrontal cortex (mPFC)2,3,4. BDNF is a brain protein that helps with the production of new and protection of old neurons and synapses as well as adaptability to mood and emotions1,4,9. mTOR is also a protein responsible for various functions relating to cell growth and survival8. The hippocampus is a part in the brain involved in learning and memory7. The mPFC is thought to be an area responsible for planning complex cognitive behaviors, such as working towards goals and determining ‘good and bad’6. What is interesting here is that long-term depression actually reduces BDNF and mTOR in the hippocampus and mPFC1,4. It also causes changes to those areas in the brain, specifically decreased neural connectivity1,4,16. A long-term effect of taking SSRIs is an increase in BDNF1. This observation along with the neurophysiological pathology of depression and the effects of ketamine lead to conjecture that drugs like SSRIs actually work to improve depressive symptoms via their direct effect on serotonin, by their ability to mitigate stress while the brain increases BDNF and mTOR again, or by directly increasing BDNF themselves1. There is some interesting overlap in the potential use of psilocybin to treat depression. In humans, psilocybin has been shown to increase functional connectivity15 and reduce blood flow to the mPFC11 (giving it a break from rumination, in my opinion), as well as encourage neurogenesis in the hippocampus of mice13. 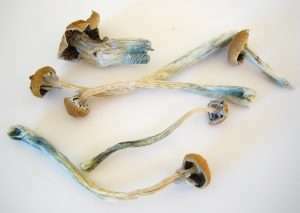 Yet the positive effects psilocybin has on a person seem to be long lasting18. Lifetime psilocybin use has even been associated to a significantly lower rate of mental health illness compared to the general population17. In my opinion, these positive effects K has on the hippocampus and mPFC allow for thought patterns and behaviors that transcend the previously ingrained detrimental behaviors of depression. The temporary release from depressive symptoms and behaviors, in addition to an increase in the aforementioned brain proteins, as well as the modulation of dopamine, acetylcholine, and norepinephrine associated with the drug’s effect, creates a cascade of positive feeling and self-image alterations in the individual, and perhaps a celebratory sense of being free of their depression. This same cascade begins to reverse when the depressive feelings return as a result of the continuation of the same stresses having produced the depression in the first place. I believe this happens because the temporary relief comes so fast and without any actual awareness or connection to the emotional source of the depression, that the Ketamine acts like a quick fix, rather than a rebuild. In comparison, psilocybin produces an extended positive effect on personality14 because the very nature of psilocybin is to face the emotional source of detrimental behavior and properly integrate into our sense of self, which includes a sense of openness, possibility, and positive mystery. In my opinion, when the root of depression is not addressed, it will eventually return when the chemical crutches are removed. That being said, ketamine’s potential for operating as an acute antidepressant is groundbreaking and exciting. Where it fails and will continue to fail is due to an exclusively neurochemical-centric model for treating depression, rather than a psychoneuroimmunological model. Of course, Ketamine is also dangerous. If you are reading this as part of an intention to help yourself or someone else out of depression, there are damaging consequences to be considered. For example, regular, long-term ketamine use is associated with severe damage to the bladder2,5, which can include the need for it to be surgical removed. It has also been shown to produce “persistent or recurrent schizotypical behaviour and memory defects”5. It also has potential for addiction. Even with K’s positive effects on things like BDNF, it also creates oxidative stress on the brain by decreasing levels of Superoxide Dismutase4, an essential antioxidant. So the more you take ketamine, the more the collateral oxidation will further stress your brain and your depressive symptoms. This is where I believe the neurological side of Ketamine dependence emerges. Psychologically, you take it, you feel good and free, for a while. Then, things turn back and you reach to the Ketamine again. Physically, each time you take it, you need an increased dose due to tolerance, which creates ever-stronger recoil of oxidation, thus a stronger desire to redose. So self-treatment with ketamine is NOT to be considered a safe alternative for those of us who have been conditioned to distrust SSRIs due to the distasteful ethics of the pharmaceutical industry. In summary, Ketamine presents a vital opportunity to emergency medicine for the acute treatment of depression and suicidality. But in the author’s opinion, as an essential means for treating depression over the long term or accomplishing complete remission, it falls short due to its inability to physically or psychologically (or spiritually) address the root cause of depression.